There are few things as relaxing or liberating as taking a cruise. In addition to watching sunsets over the ocean and beautiful scenery pass by, cruisers get to explore multiple destinations in a short amount of time, all while only having to unpack once. And many cruise ships these days are floating cities in and of themselves, ready for extensive exploration! 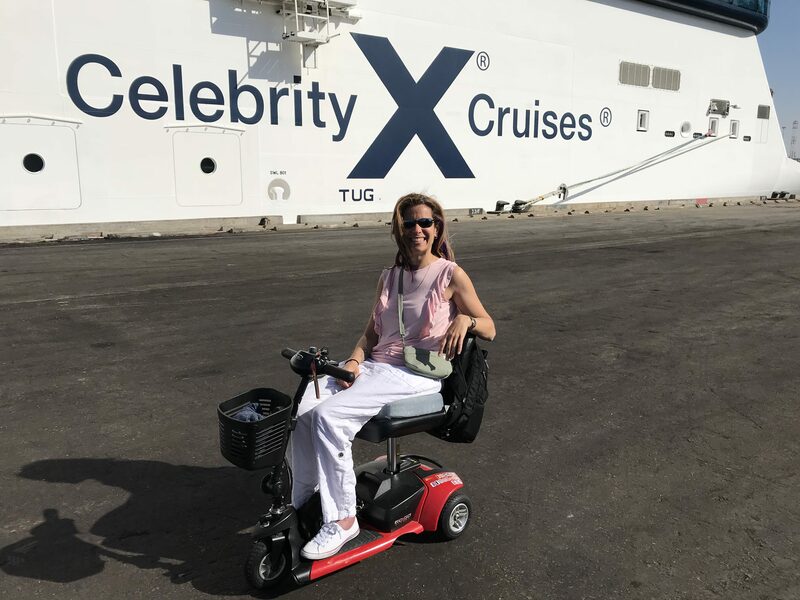 Thanks to the accelerated pace of cruise ship deployment and the priority cruise lines have placed on accessibility, there is no better way for a wheelchair user to explore the world. Here is a guide for wheelchair users who would like to try their hand at accessible cruising. 1. Pick the right cruise line. Most major cruise lines have larger ships with great accessibility and a decent selection of wheelchair accessible cabins. However, some cruise lines are better at this than others. For example, you don’t want to book a cruise on a line like Windstar or Seabourn that caters to more active and adventurous travelers with smaller ships and fewer accessible amenities. Lines with several larger ships, such as Royal Caribbean, Princess, Norwegian, and Carnival offer more accessible cabin space simply because they carry more passengers per ship. It’s also a good bet to cruise with lines that cater to older travelers, such as Holland America, Celebrity, or Cunard because they expect to have many passengers with mobility challenges. 2. Pick the right itinerary. It’s no fun to get excited about a cruise only to find out that you won’t be able to get off the ship at many ports of call. 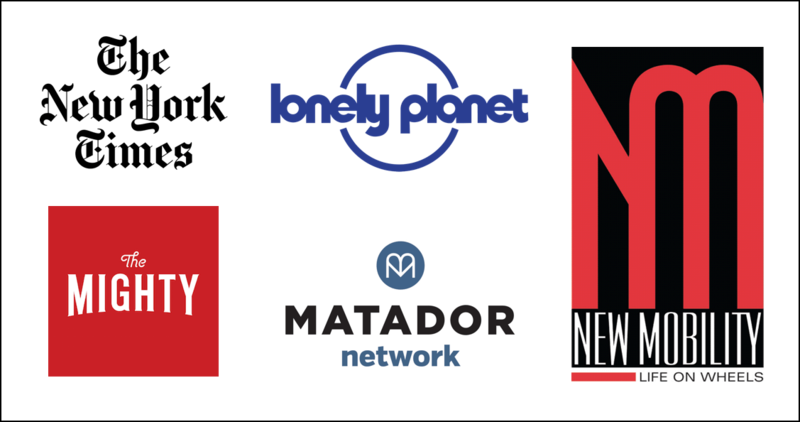 Extensive research is necessary when choosing an itinerary, and I highly recommend seeking the help of a travel agent who specializes in accessible travel. For example, you want an itinerary where the ship docks at most ports of call. The alternative is for the ship to anchor, which means that passengers can only get to shore on small tender boats. Most cruise lines prohibit wheelchair users from boarding tenders if they can’t get out of the wheelchair. You also want an itinerary with ports of call where specialized tour operators offer accessible shore excursions, or where you can roll off the ship and explore the town or city nearby on your own. 3. Clearly make your needs known. After going through the booking process, most cruise lines will ask you to fill out a special needs or special assistance request form. Here you will outline exactly what challenges you might have, what mobility equipment you will be using, and/or what medical equipment you will need. If you are working with a travel agent, make sure to let him or her know this information as well, as they will be able to help you rent any equipment you might need aboard the ship, like a scooter, manual wheelchair, hoist, oxygen, etc. 4. Pack light. I know it can be difficult for some wheelchair users to streamline their packing simply because they need to bring a certain amount of equipment with them. However, keep in mind that cruise ship cabins are generally much smaller than typical hotel rooms. Your storage space will be limited, as will your counter space in the bathroom. You do have the ability to launder clothing on board, but it is extremely expensive. You can find ways to either hand wash items, or reuse certain articles of clothing. 5. Board early and explore. If you have the opportunity to board early, I highly recommend it so you have time to explore the ship on your own without large crowds of people. Usually cruisers cannot access their cabins or their checked luggage until a couple of hours before the ship sails, so everyone will be gathered in the public areas at once. This is a good opportunity for you to get an idea of the layout of the ship, where space is reserved for wheelchair users, where you might feel more comfortable sitting in the dining rooms, and what your favorite spaces for relaxing might be. 6. Keep your battery fully charged. Some of the mega ships that are sailing today are absolutely enormous, carrying over 5,000 passengers! I’m not exaggerating when I say they are like floating cities. As such, spending a day at sea exploring your ship can really put a drain on your battery if you use a powered device. Make sure you keep an eye on your battery meter, and set aside time to charge your battery in your stateroom if necessary. If you are going on a shore excursion, make sure you take your charger AND your adapter with you in case you have to charge on the go. 7. Prepare for inclement weather. Unfortunately, cruise lines can’t guarantee great weather or smooth seas for the duration of your cruise. Make sure you bring whatever you might need for changing weather conditions, including clothing layers, a travel umbrella, or a poncho. If you’ve never sailed before and are unsure if you will have to battle seasickness, you can bring medication with you, although the ship’s clinic will have plenty on hand. Many cruiseship destinations are also very hot, so bring a spritzer if you need to cool off, and sunblock so you don’t get sunburn. 8. Pace yourself. There is a lot going on at any given moment on a cruise ship, and some itineraries can be very port intensive, meaning they stop frequently at different cities. Cruises can be exhausting for even the most healthy traveler! Take full advantage of the ship’s daily schedule to pick and choose what activities you want to participate in. Also, select shore excursions with a duration that won’t drain your energy. It may be tempting to fill every minute of every day, but set aside some time to just relax with the ocean breeze in your face and just enjoy the horizon. 9. Arrive early for scheduled events. Cruise ships are great for setting aside designated space for wheelchair users. However, it’s likely you will not be the only one on that ship. Reserved wheelchair space tends to fill up quickly, so make sure you arrive early for things like live shows, trivia games, etc. so you have a good place from which to view all the action and participate. 10. Be patient. 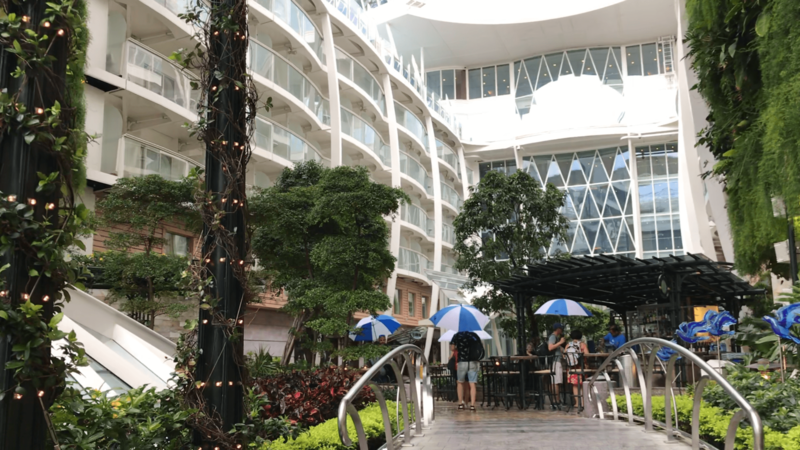 Despite the convenience of stairs, many cruise ship passengers refuse to use them and take up space on elevators better suited for wheelchairs and strollers and slow walkers. Depending on the ship, you may have to demonstrate considerable patience when waiting for space in an elevator. Fortunately, the elevators on newer cruise ships are very fast, and you shouldn’t have to wait more than five minutes for a spot. Fellow passengers tend to be very nice and give you priority in an elevator as well, but just be prepared to wait a little longer than usual sometimes, especially during days at sea. 11. Use a travel agent. Booking travel on your own has never been easier, but I strongly advise you to use a travel agent when booking a cruise. It doesn’t cost you anything extra, and they are the experts when it comes to cruising! They can help you choose the right cruise line, the right itinerary, arrange shore excursions, rent equipment, and select the best travel insurance policy. If you have questions or concerns, you don’t have to wait an hour on the phone to talk to a representative of the cruise line who may not understand your accessibility needs. I hope this guide has helped you! 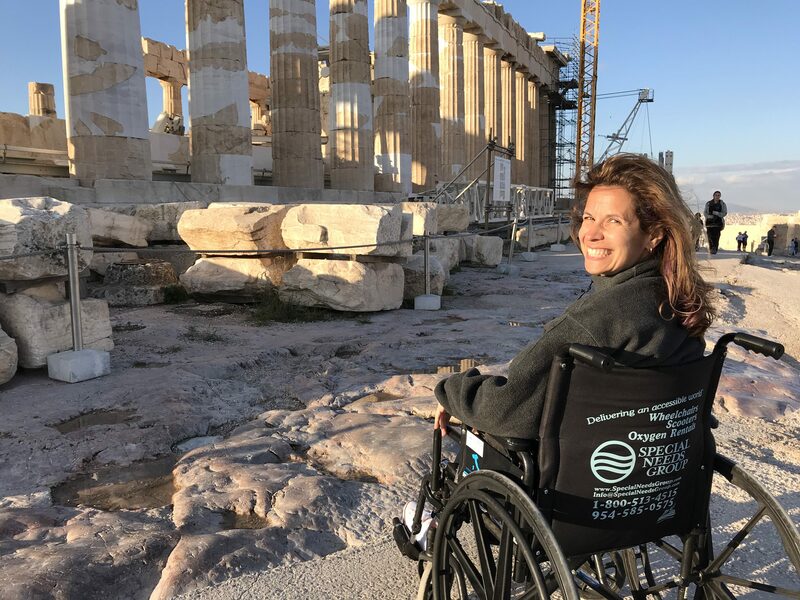 Are you ready to book your first wheelchair accessible adventure on a cruise ship? 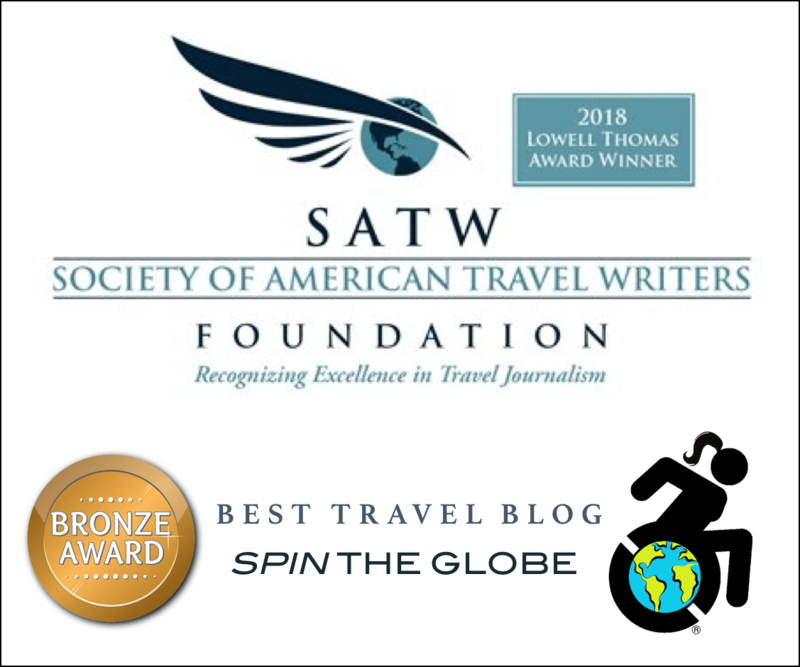 Contact me at Spin the Globe/Travel for assistance! We are hesistant to take my husband’s scooter. We’re worried that the airlines will manhandle it and break it. Have you had an issues flying and storing your scooter in the luggage compartment? I’ve taken my scooter to 28 countries and haven’t had any major issues. A couple of small pieces of plastic have chipped and I have a couple of small cuts in the vinyl covering of my seat, but nothing that has rendered it on usable. Scootaround or wheelchair rental companies to get a rent a wheelchair or scooter when flying to a destination on vacation.